Based on the determination to make a better briefcase, Baron was founded in 1978. With a Nordic eye for function and detail, briefcases were manufactured under the Baron brand. These were initially sold with help from Scandinavian Airlines in Sweden and Diners in Norway. Baron Bags soon won acclaim as a respected and reliable supplier of well-made cases that became the natural choice of discerning business travellers. 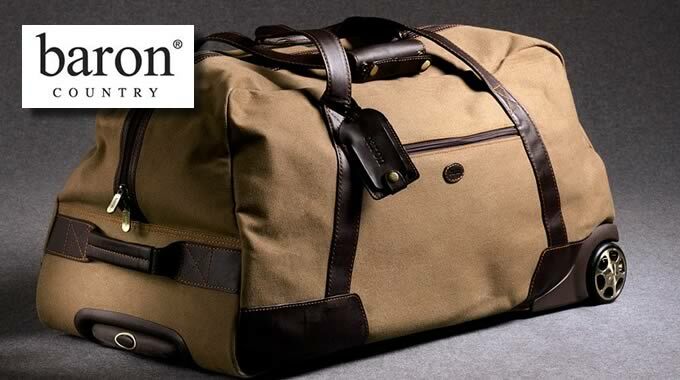 Wherever they travel, Baron Bags are recognized as the embodiment of the original philosophy upon which the brand was founded: functional, timeless bags that are bearers of classic design and premium quality.